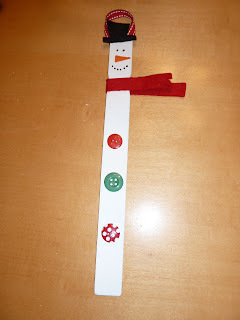 Along with the Pin the Nose on the Snowman game, we are also going to make these snowman ornaments in my 4 year old's class. Spray paint the paint stirrers white and let dry completely. 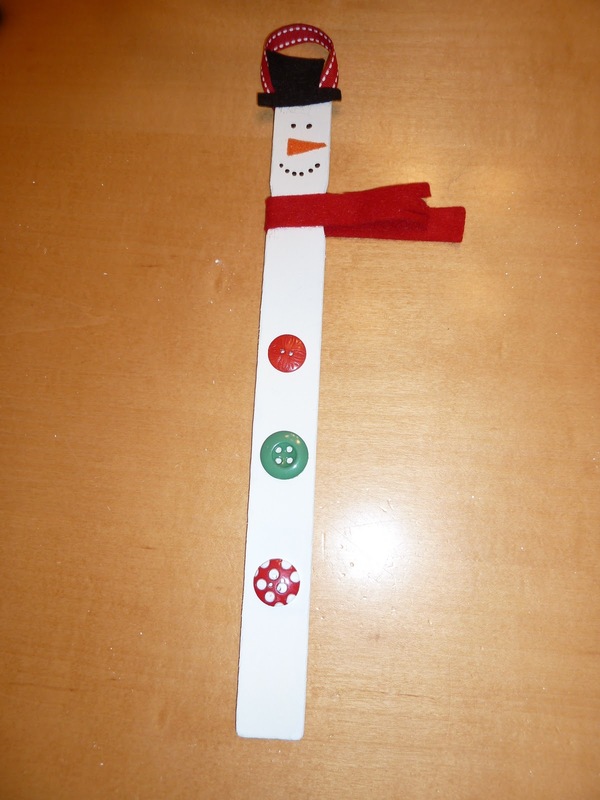 Cut ribbons into 6 inch strips and attach to back of paint stirrer with glue dots. Cut black felt into hat shapes, cut orange felt into nose shapes, and cut red felt into scarf shapes. I also added fringe on the ends of the scarf pieces. Add snowman eyes and mouth with black puff paint. I did all of this prep before hand. At the party, I will have the kids attach the black felt hat with a glue dot, the orange felt nose with a mini glue dot, the red felt scarf with a glue dot on the front & back of snowman, and 3 buttons with glue dots.